Hands up! Let’s go to The Humps and Mulka’s Cave | Where to next? Having made an early start to climb Hyden Rock and see the sun rise, we had plenty of time to drive on another 19 kilometres to see The Humps. This massive monolith (which includes Mulka’s Cave) rises almost 100 metres above the surrounding plains and is thought to be about 2700 million years old. It is one of four major rock ‘islands’ in the Hyden area. The others being Hyden Rock (which includes Wave Rock), King Rock and Graham Rock. All of these are ‘inselbergs’ or island mounts. Because they are blocks of granite, with few open fractures, they have withstood the weathering effects of wind and water, and now tower above the more erosion-prone landscape around them. Mulka’s Cave, at the base of The Humps, is a significant site for Aboriginals. 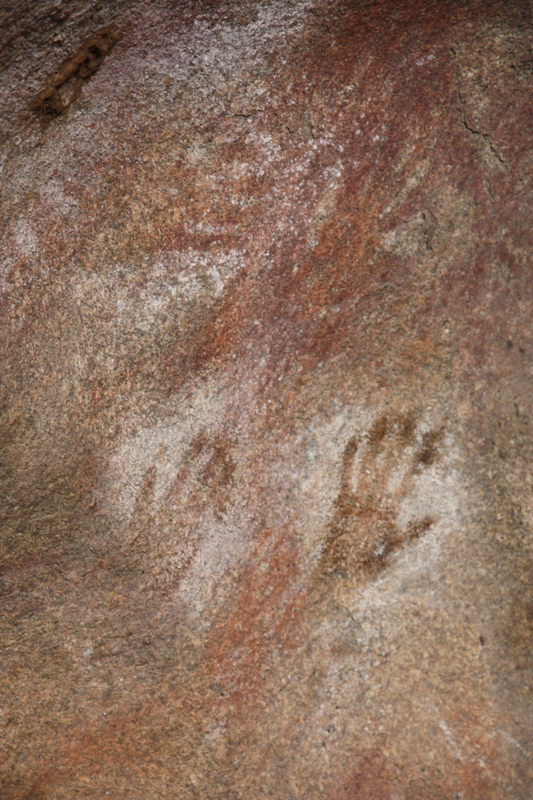 It contains the largest collection of Aboriginal paintings in southwest Western Australia. Seven colours were used in the artworks, and more than two-thirds of the 452 paintings are hand stencils. Interestingly, left hands outnumber right hands in a ratio of 3:2. The Humps Reserve is also an important sanctuary for plant and animal species. 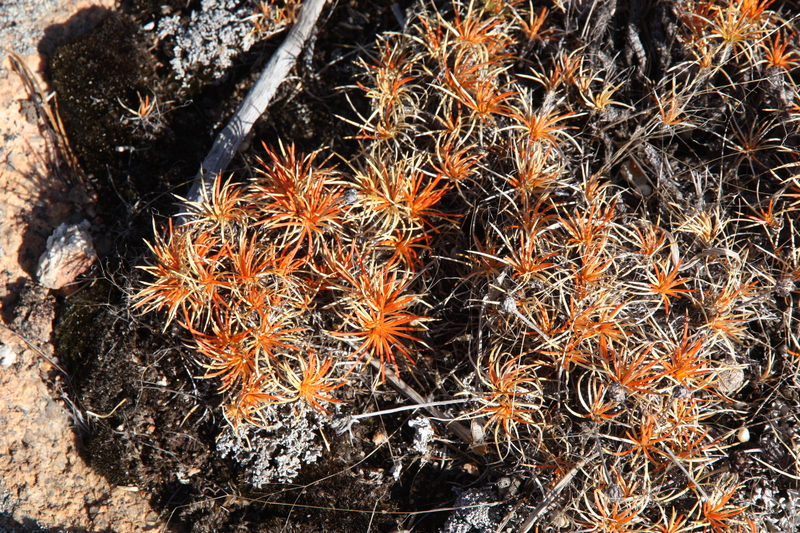 A survey in 2004 recorded 247 species of plants in the granite outcrop alone. Science shows that The Humps was covered in rainforest for many millions of years. Two species, Eucalyptus caesia and Granitites intragendus are leftover from that time. Moisture-rich niches on the rock have allowed both species to adapt and survive in what is otherwise a harsh and dry climate. DNA testing shows that the nearest relatives of The Humps’ Granitites are in Australia’s tropical north. We spent more than hour exploring Mulka’s Cave and The Humps. There is a well-marked trail to the summit with great views of the surrounding wheat fields. Then we were off to Perth—only four hours away and 10 days after we set out from home.